I love love love this post! 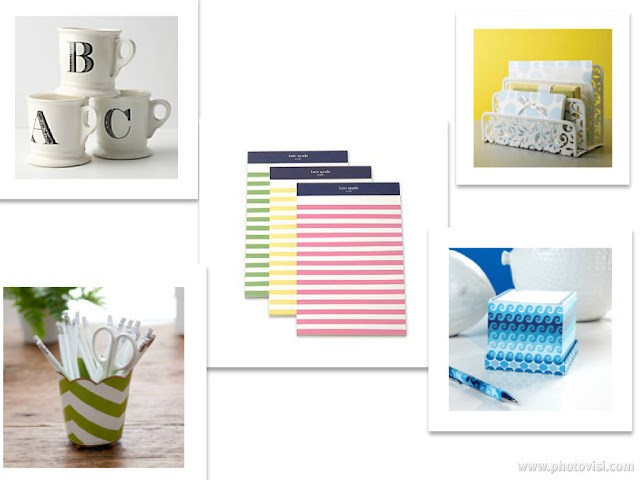 I have a slight (okay maybe bigger than a slight) obsession with office supplies but I am always looking for items to spruce up my office and maybe the otherwise drab space my own. I am luckily enough to have an office, but regardless of the size of your space, I like to spruce it up with floral arrangements, printouts of quotes and imagines I love and just little pieces from home. I actually gifted those mugs to some co-workers a couple of years ago and they loved them! And those Kate Spade notepads are definitely on want list! I've been trying to justify buying those Anthro mugs for months! lol. I want one in every letter though...because I'm obsessive. Thanks for reading my blog & for your kindness and interest. I appreciate it!